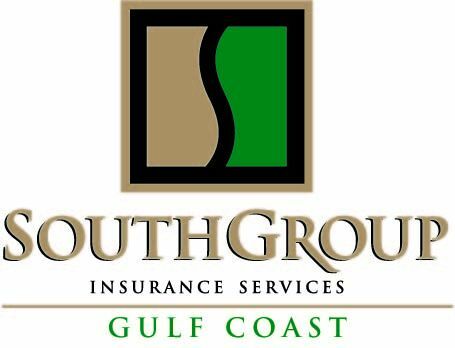 SouthGroup Gulf Coast - Your Trusted Choice: Too good to be true? Don’t wait for a claim to find out! Too good to be true? Don’t wait for a claim to find out! Any time you shop your homeowner’s insurance policy for better rates, there are key things to look for. When you see a dramatic decrease in premium, you see a great bargain, but, without a professional and comprehensive review of the new offer against your existing coverage, you may be losing more than you’re bargaining for. One of the most important items consumers are not familiar with is the difference between Replacement Cost Coverage and Actual Cash Value. (These items are commonly labeled as RCV and ACV in your policy language). Replacement Cost Coverage is defined as "the cost to replace damaged property with materials of like kind and quality, without any deduction for depreciation." Therefore, what it costs to restore a home after a loss at current costs, or to replace your older electronics at current costs, is the basis of RCV. Actual Cash Value, however, is defined as "Replacement cost minus depreciation." Depreciation is a decrease in value based on wear and tear or age. In the event of a claim, ACV coverage works by calculating the current replacement cost at the time of the loss and deducting the estimated depreciation. The only difference between replacement cost and actual cash value is the deduction for depreciation, as both are based on the cost today to replace the damaged property. This is a small difference on paper, but a HUGE difference in the event of a claim. One of the best examples on how this difference in coverage can affect you is on roof damage. A good roof can last a very long time, and rightfully so, because it can be very expensive. Imagine your 10 year old roof is currently valued at $20,000 on your insurance policy with ACV coverage and a $2,000 deductible when your roof is destroyed in a storm. After adjusting a depreciation of $1,000 per year and applying your deductible, you would receive only $8,000 for your claim leaving you responsible for the other $12,000 needed to replace your roof. However, with RCV coverage, the same scenario would pay you $18,000 leaving you only responsible for your $2,000 deductible. One item to be aware of, however, is the process in which claims are paid. Aside from the calculating previously described, most insurance companies do not provide the full replacement cost until after you have procured the replacement and provided evidence that the item has been replaced. This is often referred to as the "hold back". For example, 3 years ago you purchased a living room set for $4,000 that was just destroyed in a fire claim, and you have RCV coverage - just like if you had ACV coverage, your insurer will initially deduct for depreciation. In this example, a deduction of $500 per year for wear and tear is used. Therefore, your RCV claim coverage will initially provide you with $2,500 toward your replacement living room furnishings. You would use this $2,500 toward a similar living room set at today’s purchase price of $4,500. Once you provide the purchase receipt for the replaced item to your claim adjuster, your insurer will reimburse you for the additional $2,000. Of course, if you purchase a replacement at a lesser value you will only be reimbursed for that value, or if you choose not to purchase a replacement, you will only receive the original $2,500. Insurance companies do vary on these rules, and we recommend you ask your agent detailed questions today – before a claim occurs. If you had ACV coverage in this example claim, you would only receive the original $2,500 payment, whether you replace the damaged item or not. Mortgage companies normally require RCV coverage on a home they have a lien against. When the consumer chooses ACV coverage to save on the front end, most mortgage companies consider this a failure to meet their contractual agreement and have the right to "force-place" RCV coverage on the home creating an additional and unnecessary expense to the client. Force-placed insurance, also known as "collateral protection insurance", is an insurance policy placed by a lender on a home when the property owners' own insurance is cancelled, has lapsed, or is deemed insufficient. This insurance allows the lender to protect it’s financial interest in the property. Force-placed insurance is usually a lot more expensive than what you can obtain by shopping for an insurance policy yourself. In addition, the lender-placed insurance may have limited coverage and only cover the value of the loan, and not cover the full value of the home, and, these policies generally do not cover personal items or owner liability. In many cases, the consumer isn’t even aware that this force-placed coverage has been added to their monthly escrow bill, and they end up paying hundreds of dollars more that could’ve been avoided if they had known and purchased an RCV policy originally from a Trusted Choice agent. As always, we recommend a full insurance review to all of our readers. Your insurance policy is an investment, just like your retirement plan. Don’t settle for less or base your investment choices on assumptions. Schedule your free insurance review with a professional agent at one of our 3 convenient coastal locations today. Don’t be afraid to ask questions or list your concerns. We are licensed professionals and are eager to discuss what coverage is best for you.